My friend writes a blog, she makes me look calm & reserved when she gets on a roll. On the other hand when she does appear to be calm about something, I get very worried. She has been doing a series I have followed here this month about Big Cats Rescue, HSUS, & a couple other agencies on my radar. 1) Zoo Wars I -Is it stalking…or is it STALKING?!? 2) Zoo Wars -second edition BREAKING NEWS!!! Big cat Rescue is listed on the Global Federation of Animal Sanctuaries, it does NOT meet Florida criteria as a sanctuary. Are you confused yet? 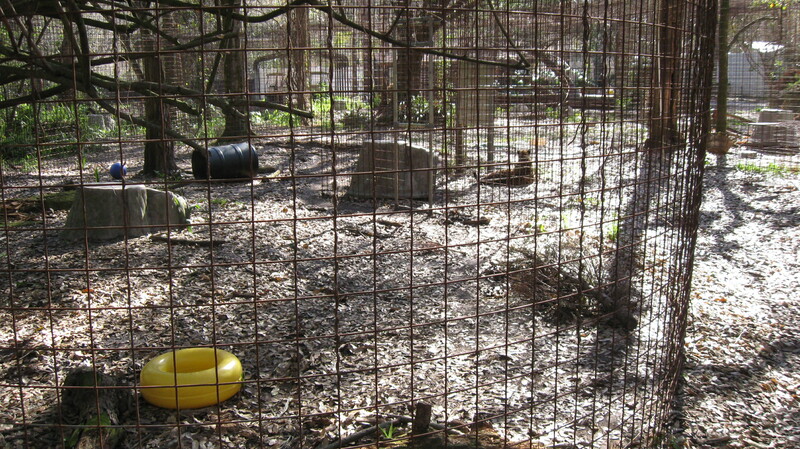 A sanctuary that is not a sanctuary is going after a roadside zoo, for copy write infringement… Are you with me so far? GFAS offers its sincere thanks to the following generous supporters, listed in alphabetical order. Thanks to their support, GFAS has been transformed from a ambitious vision into an effective reality, helping sanctuaries help animals! 4) Zoo Wars IV -Special Weekend Edition- Can you say AETA?!? Now we have PETA, disgruntled ex-employees, taking pictures & the FBI getting involved & going through Joe’s computers in this freak show & in the mean time Ms BCR did win her lawsuit against a bankrupt man… Didn’t think that one through did she? So getting back to Carol Lewis Baskins previous husband…. Don Lewis’s body was never recovered nor was he ever found as ‘still alive’. Exactly WHEN and WHERE Don Lewis will turn up is unknown but there has been much speculation concerning this matter. From being put thru a grinder and then fed the cats to being buried under the septic tank (that is in the cougar enclosure) that WAS poured within days of his disappearance, to being alive and well in Costa Rica or some other place however, there is little doubt he would have left penniless or left anything to Baskin. Don Lewis pleaded with the sheriff’s office that he was in fear for his life (interesting claim coming from a husband). What I don’t understand, is that the judge would not grant this because ‘he continued to live with her’. How many times have we heard that the abused person, no matter man or woman, would continue to reside with their abuser?!? In this case, I doubt Don Lewis would pay to stay in a motel rather than stay in his own home. Okay so now I am actually scared of this woman… Um… People ARE made out of meat! Is she trying to tell us that her sanctuary looks like a bone yard with bits & pieces of all the animals they eat just lying about? Yikes! Uh oh… you know your famous when someone makes a video about you: Now people are starting to FINALLY ask questions. I still want to know how a sanctuary is called a sanctuary if they BUY their pets. I’m sure by now that everyone knows that is perfectly acceptable to have garbage, sewage & built up animal waste inside of flimsy pens in the middle of Hurricane Alley…. So you have to ask yourself: What is tofu & salad eating attorney doing down in the bayou? You also have to wonder “what reputable sanctuary” they believe they have the God given power to come in & take this animal to. A permit to keep a tiger named Tony at a truck stop outside Baton Rouge was invalid because the truck stop’s owner wasn’t the animal’s legal owner, the state 1st Circuit Court of Appeal ruled Thursday. The three-judge panel upheld most of a district court ruling in the case involving the 12-year-old Bengal-Siberian tiger mix displayed as an attraction at Tiger Truck Stop in Grosse Tete, about 20 miles west of Baton Rouge. The panel, in its decision, also upheld an order barring the Louisiana Department of Wildlife and Fisheries from granting a new permit to truck stop owner Michael Sandlin. “We’re thrilled,” said Matthew Liebman, attorney for the Animal Legal Defense Fund, of Cotati, Calif. There is NO LIMIT on the crazy of these animal rights extremists. Mark my words they are coming to your state, they may already be there, waiting & watching. Talk about a pathetic existence. 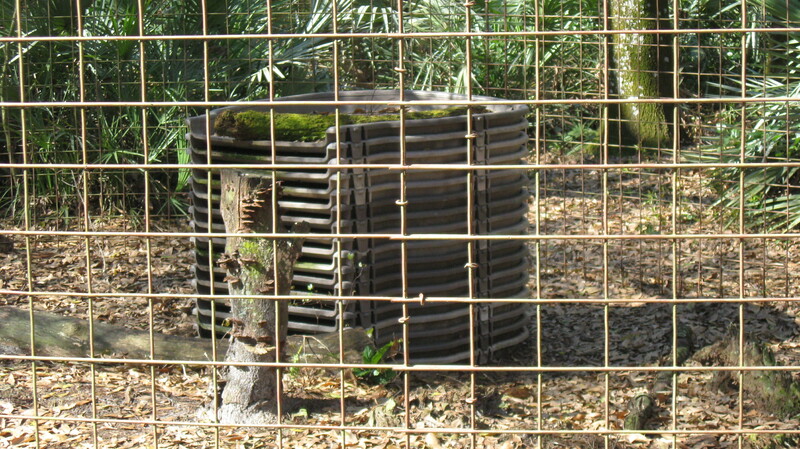 Her “sanctuary”, which is still by definition a zoo, is the largest accredited big cat facility. The facility possesses an incredibly rare white serval whose origins are also being questioned, as well as sand cats that were ‘surplus from a breeding program’. While no longer does she breed, buy, or sell animals, her original plans seem to be moving as strongly as ever but under a new guise. It seems to be uncommon for Big Cat Rescue to praise rescues that are similar to theirs, but they sure have made a lot of noise in insisting that they, and not any other facility, should be the caretakers of Tony the tiger who currently and controversially resides at a truck stop… even going as far as to have an available space for Tony for years, despite their claim that they must turn away many animals annually. 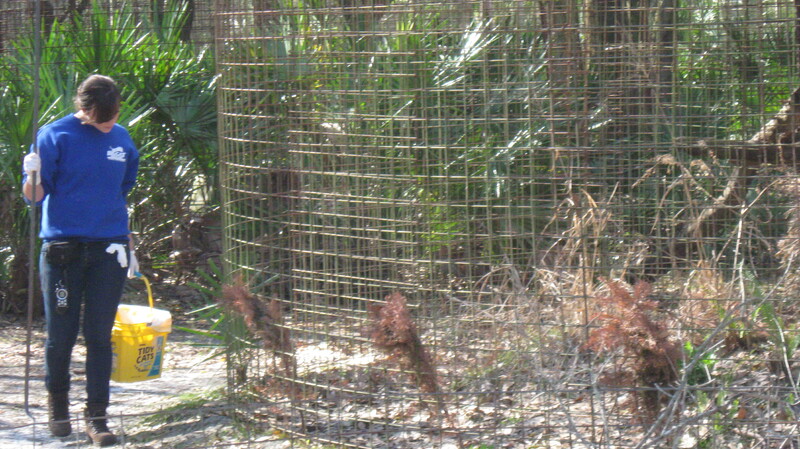 Carole Baskin now states that her ultimate goal is to close down her rescue, and completely phase out big cats (and most likely other exotics that will be up to her determination) in captivity because these animals cannot live a respectful existence in such a setting… and then Big Cat Rescue’s videos pan to their collection of animals…living a respectful existence in captivity. “Who are Exotic Pet Owners”. This webiste has pages & pages of articles about her abuse & fraud. NOTHING in rescue ever makes sense, the people involved for the most part seemed to have escaped insane asylums WITHOUT their medication. Ego’s rule, humaniac’s are everywhere, save the lion, the elephant & the tiger while celebrating over the dead body of a cow or a pig or a chicken, & hey: If you can’t find out anything bad or damaging on “The Competition” MAKE IT UP! I swear with God as my witness the more I read & learn the crazier I get, because 1st you have to read it, then you have to wrap your head around it, then you actually have to figure it out after you have gotten it all straightened out IF YOU CAN…. I’ll be in the corner banging my head against a wall. I do worry about the big cats. They don’t belong in truck stops – or people’s homes. Every so often the local SPCA (which has built big animal rescue facilities that can shelter animals until placement can be found) is called to rescue some poor cat – often benign neglect, but really people, it’s a lion/tiger – you were bound to know that when you bought it. And it’s so confusing to understand who is a real sanctuary/rescue and who isn’t – so easy to “pretend”. That’s the most concerning thing about Big Cat Rescue, she started out as a breeder who was buying these animals, she was still buying animals then claiming she “saved” them, even tried to say some of her bought animals were “saved” til she got busted. She has been under investigation for years, is not even designated as a sanctuary, & if she in fact “did see the error of her ways” I would think her primary goal (as are most sanctuaries) would be to educate, not attack, not waste 100’s of thousands in donated money meant to care for the animals she already has, to destroy someone with frivolous lawsuits so that she can acquire more animals. She is bordering on hoarding behavior. I am not wild about the truck stop tiger but he has been there for 12 years, it is all he has known, the guy loves him more then himself, he has spent most of his money trying to appropriately house him & I am positive if some zoo were to approach him & offer him a good life he might take them up on it, now he’s got some loon bin chasing him trying to steal Tony who is saying she is getting out of big cats. HUH? So what is she going to do? Get him & kill him? Is she lying? What is her primary goal? No one knows the answers to these questions because she keeps changing. In my opinion she is a very dangerous person, dangerous to both people & animals. Now I’m really worried about the truck stop cat. A nut case he doesn’t need! BCR is in the middle of a highly populated area -collects a large fee to se the animals with tours available night and day, Considered a Florida attraction and NOT considered a Florida sanctuary by FFW. The LA senate approved SB250 which is a bill that will allow Tony to remain in safe keeping at the truck stop. There is an award winning documentary concerning the TRUTH about Tony the Tiger at the Tiger Truck Stop. Case by case – just like people. Real/certified animal sanctuaries are a solution when an animal is abandoned by their owner or an animal has been neglected or abused. Authorities have been able to place rescued big cats in sanctuaries once their health improved. So yes, I do worry about those big cats that are hidden away and suffering. That’s the context. Your area may be different. But as you pointed out – decisions on big cat welfare must be determined on a case by case basis. Carol Baskin is committing fraud for millions in donations. She advertises that her ‘sanctuary’ is dedicated ‘solely’ to abused and abandoned big cats, yet the majority of her animals are smaller cats such as servals and bobcats that her ‘missing’ millionaire ex-husband bought for her at fur farms and auctions. Many of these cats were then re-sold or bred and the survivors are still there today, with the public led to believe that her personal pets were ‘rescued’ from abuse. A true sanctuary has no commercial activity while Big Cat Rescue makes millions in day tours, night tours, keeper tours, feeding tours, private tours, weddings, parties, summer camp….anything to make even more money, which is obviously not spent on quality caging or paid staff. Call Florida Fish and Game and they will tell you, that Carole Baskin’s permit is for exhibition and sales…she is NOT a sanctuary. The U.S. Department of Agriculture (USDA) has just issued a new citation to The Garold Wayne Interactive Zoological Park (G.W. Zoo) in Wynnewood, Okla., involving the failure to provide a bear–who was apparently left to languish and bleed in a dirt-floor cage for two weeks after allegedly being mauled by another bear–with adequate veterinary care. A visitor to the facility had first told PETA that the bear was extremely lethargic and appeared unable to stand. PETA got the Oklahoma Department of Wildlife Conservation out the following morning, and the USDA paid a visit to the zoo the next day. The USDA’s citation–which was just released–indicates that nonveterinary G.W. Zoo staff attempted to stitch up the bear’s 4- to 8-inch wound, rather than calling on a veterinarian to treat the animal, and the bear was ultimately euthanized. G.W. Zoo is a chronic violator of the federal Animal Welfare Act–it had previously just been cited on March 10 for failing to provide four juvenile bears who suffered from untreated skin conditions for months with adequate veterinary care. G.W. Zoo operator Joseph Schreibvogel was also cited by the Occupational Safety and Health Administration on March 31 for an October 2013 tiger attack that caused an employee to lose part of her arm and almost bleed to death. Schreibvogel is currently the subject of at least three USDA investigations, including one for the deaths of two tiger cubs in May 2013 and another for the deaths of 23 baby tigers over a seven-month period from 2009 to 2010. What this video shows me is a suffering animal who is left in a condition where it can’t even get up to eat. Where is the veterinarian and species experts to see to this bear medically? A complete disregard for this animals condition. And with the language and descriptive words about this animal, it’s obvious there’s no respect for the bear. The bear isn’t spoiled, as this video is staged in an attempt to try to make it appear so, it’s wounded and cannot move. If it could move, it would move. Just leaving it there unattended, without treatment, while showing it didn’t get up even the day before to eat, is a true injustice and neglect. This is quite unacceptable. This incident and article is from 2014, not 2009. There is no PETA spin. It is a factual article that I am sharing. The USDA has issued a citation, just like multiple times before. Even if you support GW Zoo, you can’t ignore the truth and facts. The occurrences there have nothing to do with outside orgs. The responsibility for these animals lies with GW Zoo. You want to knock a place then you better know more than news articles that do put their spin on it -like everything else that’s in mainstream news or online news written by an Animal Rights Extremist-seems to me it sounds like Baskin wrote the one produced her. How else would there be so many articles about how wonderful the place is when it’s not!!! Now let’s give that some thought…If it was you I had done that for and you who had that acknowledgment in a book; would you then write complaints and smear my name Of course not…not because you owed me anything but because it ultimately makes you look bad!?! -What an idiot she is…too funny. Do you address GW Zoo’s issues or always try to deflect by directing aggression towards another entity? That’s all I am seeing here. No factual discussion, just bitterness and rage against one specific person. Why is that? That lends no credibility to your position. You realize that, right? Here’s the story. More than Pinesol, which is actually harmful to animals. Rage? I believe TopCatsRoar was just asking a question, & stating facts… So now “truth” is the new rage & bitterness? But back to “credibility” Where is your documentation? Not a blog post, not an OSHA safety violation for Pine-Sol & Notices: but actual documentation of the murder, neglect & abuse you proclaim so loudly here. Didn’t you just write this to me? I think CNN and OSHA are credible sources to use in reposting an article. I think you people have too much time on your hands and are a whole lot of crazy. Where are the actual documents NOT a AR blog stating their opinions? Ms Stephanie Humphries: That is not documentation, that is 5 citations (safety inre: humans not animals) you just accused a person of willful abuse, neglect & murder of his animals. SLANDER: Is considered even more egregious when you accuse of someone of committing a crime while doing their job. As a matter of fact it is considered a crime as well in most states. I do have your IP adress since you have chosen to post here. So again besides the AR sites: Where is your documentation or proof of murder & neglect? I don’t post a story without proof or documents, neither should anyone else. That’s a rich statement considering what you have posted here. I do believe CNN and OSHA are credible sources for re-posting an article. Great, you have my ever changing IP address. I think threatening me shows your character. What say you to the allegations and citations issued to GW Zoo? Defense? Where’s your documentation that Carole Baskin has fraudulently acquired millions? Or even has millions? Or killed her husband? Or that Big Cat Rescue is negligent? Or that BCR’s lawsuit was frivolous? I can’t even spend the time re-writing accusations you have made here, with no documentation. Talk about egregious. I quote major news articles and you go on and on about another facility, rather than defend GW against these articles and citations. What say you? WTF are you talking about? And see, even you have a CNN article. If you are Brandia, then you are the transient in those documents you posted on the site where you were having all those issues from neglecting animals? See that is what I am talking about. I was not a transient nor was I abusing my animals. I see that the attack on GW didn’t work so now you have turned your anger on me like an angry child. That is okay I have never lied or hidden anything & I don’t have to try to bash anyone to make myself look better. I am sorry that you are such an angry person. If I was you I would go read the CNN link I posted, it was not a bad story about GW, quite the contrary. Now true to my original request, AGAIN I will ask where is your documentation? It was a question. You posted dozens of documents about your own situation. I merely read them. I was curious who I was communicating with. You have my name. How is that? Bet you don’t see anything like that from me. I’m an animal advocate, not an advocate for people. I can tell your story already just by your lengthy blogs and comments and who you generally defend. Listen, just because someone has their animals removed from them, it doesn’t automatically make them a victim. It doesn’t happen for no reason. You seem to defend people who have had this happen. I would not be, and am not, on the side of anyone but the animal(s). I’m not having anger issues, you have been ranting. Like I said, these are all reputable sources. The video you posted is evidence, is it not? This kind of activity is not new for that place. I do not agree with that persons stance on private ownership either. It’s clear what that leads to. There’s nothing good about it for the animals. And the facility, the enclosures are small, graveled, are unnatural and are nothing more than jail cells. I don’t have to compare it to any other facility; I am judging it on its own merits.I am not justifying my opinion, as I really don’t have to do so with you. You don’t have to like it or agree with it. And it’s clear that the facility and it’s ambassador will continue to harm animals and eventually be its own destruction. I worry about the animals. Before I defend anyone I make sure I get documentation, & statements from others. I get requests from folks to tell their story all the time but until I am 100% sure that they were in the right I will not post their story. There is nothing wrong with having compassion for people too. I do understand your stance on people, because there are days if I had to chose between the human race or the animals, there would be NO people but that is a form of hatred that eats at you. I am ultimately in the situation I am in because of defending animals. The sad part is if you REALLY take a look at these agencies you are supporting you will find their bottom line is NOT (and never has been) the animals, it is about money & their own personal agenda. You can advocate for animals any number of ways but following someone else without doing your research is dangerous at best. As I’ve said numerous times: I don’t want everyone to think like me, I just want them to think!